Laura Mercier Creme Body Wash thoroughly cleanses the skin with a natural based cleanser derived from coconut, oat and corn. Gentle for daily use, the creamy lather will leave the skin feeling smooth and moisturized. 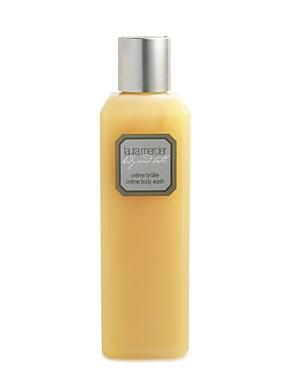 Laura Mercier Creme Brulee Creme Body Wash/8 Oz. Laura Mercier Creme Brulee Creme Body Wash, 8 Oz. Laura Mercier Creme Brulee Body Butter/6 Oz.